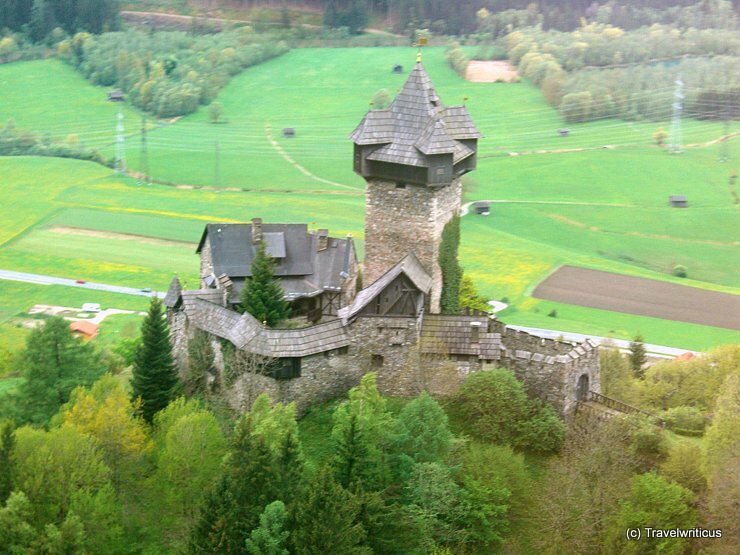 Niederfalkenstein Castle (Burg Niederfalkenstein) is situated high over the municipality Obervellach in the Austrian state of Carinthia. This photo was taken from a train while passing the railway bridge Falkensteinbrücke. Together with Oberfalkenstein Castle (Burg Oberfalkenstein), it forms a castle complex generally known as Falkenstein Castle (Burg Falkenstein). Whereas Oberfalkenstein is badly damaged, the restored Unterfalkenstein has turned into a picture book castle. Passengers of the Tauern Railway will enjoy this view while sitting on the valley side of the carriage. This entry was posted in Castles, Railviews and tagged Austria, Carinthia, Obervellach by Travelwriticus. Bookmark the permalink.